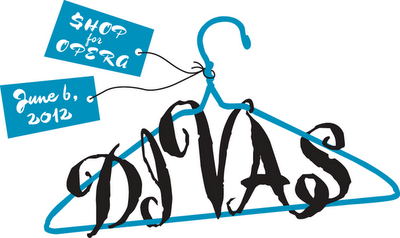 New York City Opera's seventh annual DIVAS Shop for Opera sale kicks off today at 82Mercer - located in the heart of Soho at, you guessed it, 82 Mercer Street - that's between Spring and Broome Streets. The Post is reporting that Amanda Brooks, who recently resigned as fashion director of Barneys and plans to leave the city to spend more time with her family in England, made a hefty donation of her designer wares. Sources tell the Post that Brooks has donated “thousands and thousands of dollars” worth of Prada, 3.1 Phillip Lim, Jil Sander, Tuleh, Yves Saint Laurent and Chanel designs, plus “loads of shoes,” were donated. But, to jump on those amazing donations, you must purchase a $375 VIP ticket. This also entitles you to mingle with fellow VIP-shoppers, sip cocktails, enjoy hors d’oeuvres and also reap the benefit of a 10% discount on your purchases. Oh! And, ps: you wont leave empty handed - there are gift bags. FYI: past donors to this worthy cause - which benefits costume design and creation for New York City Opera - have included Bill Blass, Nanette Lepore, Versace, Manolo Blahnik, Zac Posen, DKNY, Luca Luca, Zandra Rhodes (who has designed opera productions herself), Carmen Marc Valvo, Vera Wang and then some.